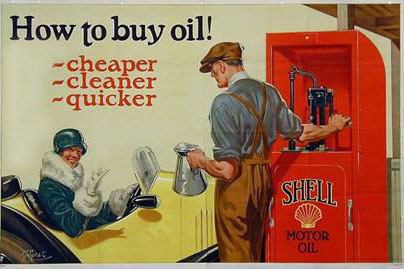 Shell is launching an exhibition to showcase the brand's history at the Museum of Brands. Visitors will be able to explore how the brand has been a "part of human progress throughout history". Guests will also be able create their own brand using Shell’s new "Brand ID" digital experience. Dean Aragon, vice-president for Shell Brand and chief executive of Shell Brands International, said: "Shell is partnering with the Museum of Brands, Packaging and Advertising who play a key role in preserving and celebrating global brands and their heritage. "In our daily lives, we’re surrounded by brands; they are woven into the fabric of society and culture." The exhibition at the museum in Ladbroke Grove, West London, opens on 11 April.